Steady, sturdy and easy to fold, our rectangular banquet table is perfectly suited to many different kinds of event, from dining occasions, to conferences, exhibitions and more. You can also hire our linens to add a really decadent look to our tables. Tables and food have gone together since the beginning of time, and when you’d like to order a modern, convenient and affordable product for your formal dinner, corporate occasion, wedding or any other function featuring food, our 1830mm rectangular banqueting table is ideal. This very modern product is just what many of our London clients, and those based beyond the capital require, being easy to set up, lighter to lift and offering an unfinished surface for linens, which we also stock. But how has the simple table come so far? Well, like many industries, inventors try their best to produce items that appeal to the current market. Only limited by tools and materials available, past designers have launched many opulent and beautiful tables, a major feat in distant times when there was fewer metals and wood varieties available. In the table’s very early days, it’s likely that they were simply made from stone, and some experts believe the Ancient Egyptians fashioned rocks into platforms specifically to prevented food from becoming contaminated. Romans and Greeks used marble and metals for their tables, showing how older designs could be very opulent indeed. The average home and business were unlikely to afford these kinds of sumptuous tables, but over the years they became very important in all spheres of life, and different shapes were produced to make the simple table even more versatile, from those that fold, to those that were higher and smaller, like work tables. Although our 1830mm banquet table hire range can be dressed using our linen hire range to create wonderfully chic and beautifully stylish venues, a more basic version of trestle tables has existed since the Middle Ages! They were further developed in the 16th Century to become more robust, while the 17th Century saw longer, rectangular refectory tables becoming popular. Our modern day equivalent offers all the convenience and practicality of a table made in the 21st Century. 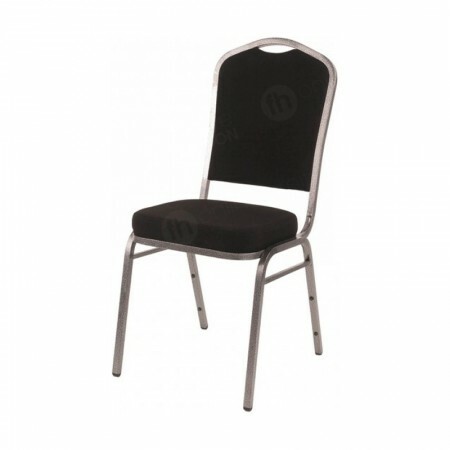 Seating up to eight people, this product is simple to install and is very cost effective. You can join them together for longer eating surfaces and dress them with our deluxe table cloths and napkins. We also have matching chair covers available, which slip neatly over our banqueting chairs for really sophisticated event venues. And here’s a little secret... This product line is not only fantastic for dining occasions, but many other events where you need steady and stylish tables, from product launches to exhibitions and meetings! 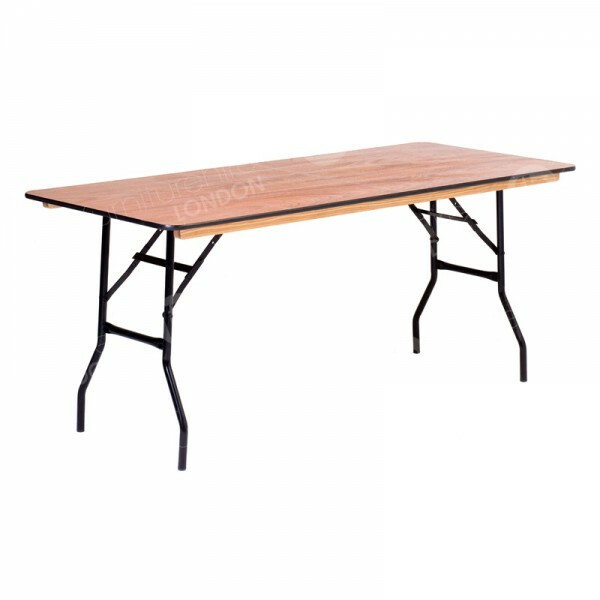 We also have 1220mm rectangular tables available and a range of circular trestle tables too. Very! It’s just a case of unfolding the legs - it’s really that straightforward. You can choose our full installation service if you’d prefer us to put up and take down your furniture hire selections. What linens are available for this table? We have black or white tablecloths, as well as napkins, and when you want seating to match tables we also have chair covers available too.